So, this is one of those dramas that’s basically your friend from high school who always dominated conversations, drank expensive coffees, and thought they were the first ones who ever figured out anything. Usually they just babbled about something everyone already knows instinctively, but acted like they alone were privy to such spectacular insights into humanity. A bit smug, a bit self-righteous, a bit annoying but you still called them your friend cause overall, they were basically harmless. A perfect example of this: In the show, our lead female has found a small flowering weed growing out of a brick wall… and turns this into a meditation on strength and tenacity… and our two leading men are blown away by this, as if this obvious metaphor were profound and they can’t help but love a women with such wisdom! Ugh. 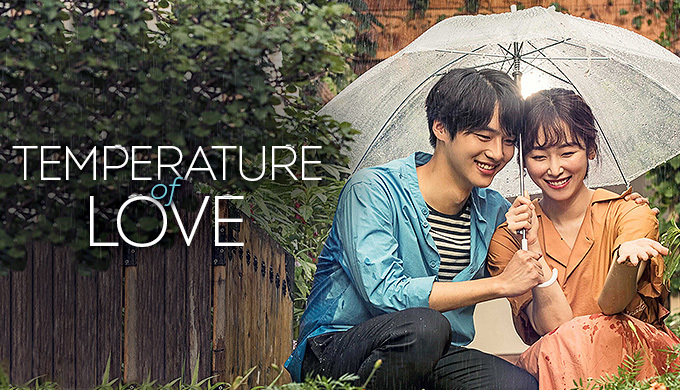 Temperature of Love is a character study on young professionals, their ambitions and dreams, and the various interpersonal hang ups they have that keep them at a distance or bring them closer to other people. No one in this show is that remarkable. They are all hard working and dedicated to their careers. They all understand that talent only gets you so far, it’s the hours behind it that push you ahead. We have three main characters, the young CEO who lives in his head, the young chef who expresses himself more with creatively arranged garnishes than with words, and the young drama script writer who did nothing to make herself unlikable but I still couldn’t bring myself to like her. These three are our love triangle, though honestly the story is just about the chef and the script writer, who are about a decade apart in age and spend a lot of time breaking up and getting back together. I kept listening to their stories because they wouldn’t shut up and I was mildly curious… but the quirky side characters were far more captivating. The bitchy rival screenwriter who was preposterously self aware and unbelievable, but I still loved – the goofy side kick friend and her bumbling romance with the director – the selfish, beautiful mom who had more personality than… well… everyone in the show, honestly. The side characters were solid. This show reminded me of Another Oh Hae Young. Same leading lady. Same sort of low key overdrama. Same overall effect of “eh” when all was said and done. In this drama, they tried really hard to convince us romantic things were happening with lots of voice overs (of deep thoughts in the shallow pool) and when our couple would embrace, suddenly the show would drop into black and white… which was fitting, as their relationship was not colorful or inspiring. I watched it feeling happy I was single. I had serious second lead syndrome the entire show, but just like in the drama Mary Stayed Out All Night, I didn’t want our leading lady to end up with the second lead male cause I didn’t think she deserved him. He was far too awesome for her. Anyways, I didn’t hate it. I didn’t love it. It’s somewhere inbetween. All the kissing and cuddling would have been more enjoyable if I enjoyed the lead couple more, I think. You might love them… so who knows… this drama may rock your socks. Overall Rating – 7/10. Too Much Milk In The Coffee, Not Enough Food On The Plate.